The 100 Mandalas Community Projects are facilitated online so you can participate from anywhere around the globe. Participants are given a piece of the mandala to print, color, scan, and e-mail back. Kathryn Costa collects the pieces and digitally pieces them together to create unique powerful symbols of love and inspiration. An exclusive invitation will be sent to participants of the Inspired Vision Retreat 2019. 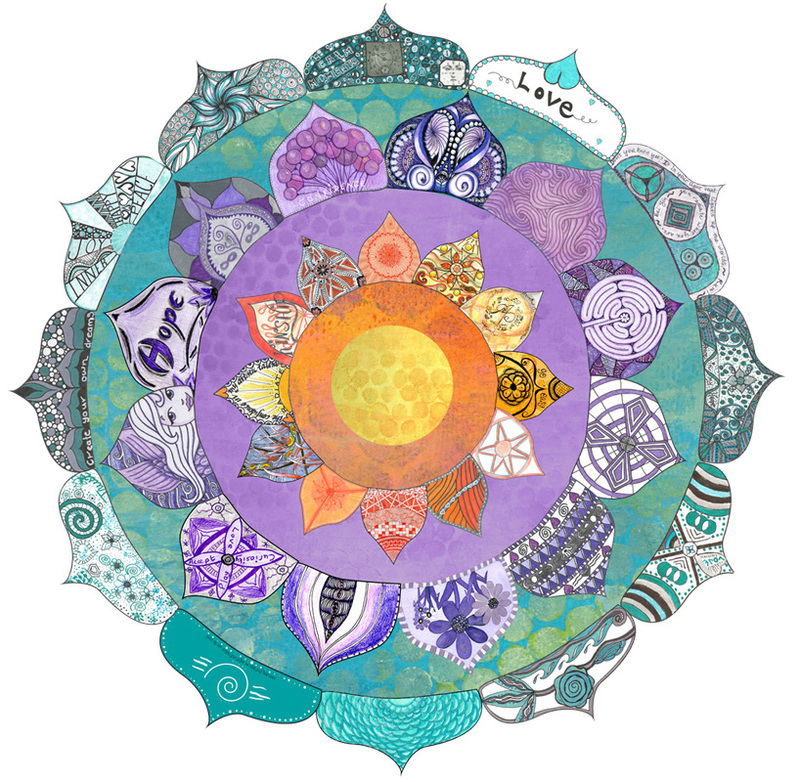 Join the 100 Mandalas Sharing Circle to learn about other Community Mandala Projects. 34 artists from 7 countries and 16 states throughout the US were assigned a color and given a petal to alter. They were asked to consider what they needed to radiate and be their best. The final design is a powerful symbol of self-love and self-care. CLICK HERE for a closer look at each individual petal. 34 artists from 11 countries around the world submitted a “petal” to create this beautiful lotus mandala. Each petal of the flower is infused with positive energy and a positive intention by the artist. “Love” is at the center of all positive intentions. The result is a powerful symbol. CLICK HERE for a closer look. 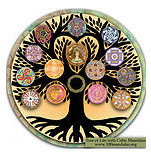 This gorgeous Tree of Life is blossoming with Celtic inspired mandalas designed by 15 artists from 9 countries. This Tree of Life symbolizes the wonderful connection and growth that is happening here for the participants of the 100 Mandalas Challenge. CLICK HERE to get a closer look at the final design as well as each individual Celtic mandala. 21 mandala artists from around the world submitted a mandala for this unique calendar that counts down the days to the Solstice from December 1st to the 21st. CLICK HERE to see more photos and download a copy of this calendar to print and enjoy! Participants in our first Community Mandala project were given a shape to alter using only black and white. CLICK HERE for a closer look.